With 13 floor plans available ranging from 545 to 1,604 square feet, our San Antonio, Texas, apartments and townhomes for rent provide a variety of layouts for you to choose from. With studio and one bedroom, one bathroom options, and two bedroom, two to two and a half bathroom options, Dwell at Legacy accommodates many different living arrangements. Whether you will have the place to yourself or share space with loved ones or friends, our Far North Central community is inviting and tailored to fit your needs. Find your comfort at Dwell at Legacy. 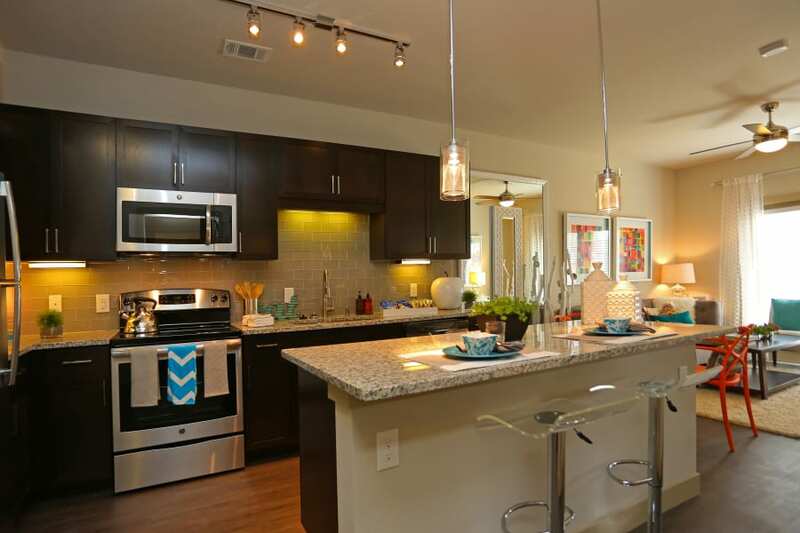 Contact our team to tour our studio, one, and two bedroom apartments and townhomes for rent in San Antonio, Texas.